Linda Eskin links to my post Your teacup is full (Empty your cup) from her post Beginner’s Mind – The Power of the Empty Teacup. Linda places the story in an Aikido context. I like her conclusions. Beginner’s Mind is a sense of wonder, about skills, places, things, people, and even about ourselves. Practice it in all you do, whether learning Aikido techniques or talking to a friend, and you will find more depth and richness in your experience. 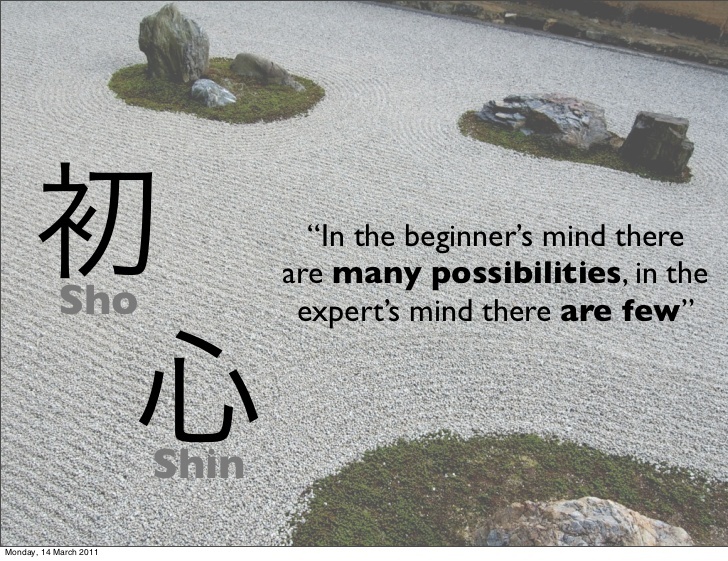 Keeping an open Beginner’s Mind is a good practice both on the mat and out in the world. Whenever you catch yourself thinking “Oh, this again,” pause and take a fresh look. Stay actively engaged with what you are doing. Ask yourself what about this situation could I be missing? What could I see in a different way? What does this teacher have to say that I have not heard from other teachers? What have I been assuming about this person that might not actually be so? Posted on April 10, 2016 February 23, 2019 by BengtPosted in Discover Your SelfTagged Buddhism, Learn, Zen-related.